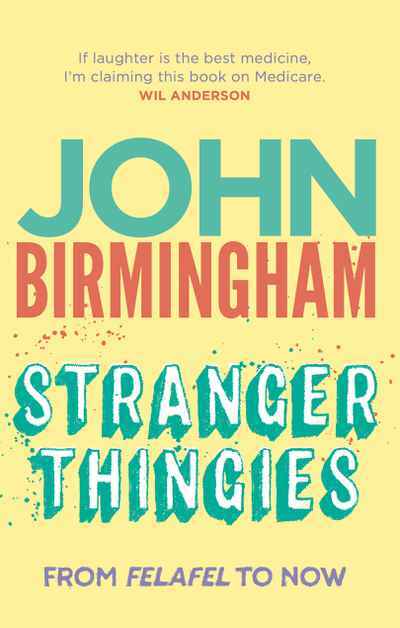 John Birmingham is a master of good writing and funny lines. He has written a thousand stories, some true, some not so much. These are the best ones and they’re so good, and so funny, there has been no barrel-scraping involved. Really, this book could have been much longer. The pieces contained within these pages run the gamut from the early felafel days to the shiny age we live in where Donald Trump is the President of the USA. And it does not shy away from the greatest controversy of our age: potato cake vs potato scallop. These hilarious pieces cover a wide range of topics from food to fitness and politics to pork, in all its glories. And, of course, fashion. Ever the equal opportunist, John Birmingham skewers them all.